I thought it would be interesting to look at some of the best investors in modern time. These are all individuals who made significant amounts of money by sticking to solid investment philosophies. If you look at their strategies as well, they aren’t very difficult or complex – they stick to basic financials of a company and look for value. If they believe there is value, they invest, and make tidy profits! 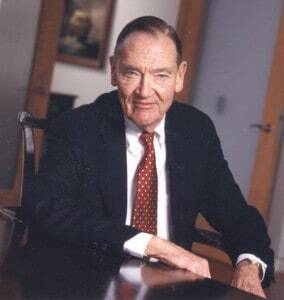 Jack Bogle is the founder of The Vanguard Group, which most people associate with low cost mutual funds. However, that is not how he stated. He graduated from Princeton University and went to work at Wellington Management Company, where he quickly rose through the ranks to Chairman. Although he was fired for a bad merger, he learned a huge lesson and went on to found The Vanguard Group. Buy your fund portfolio and hold it! He even has dedicated followers known as bogleheads. Check out his most well known book, The Little Book of Common Sense Investing, where he shares a lot of these views. Warren Buffett is widely regarded as the most successful investor in the world based on the amount of capital he started with and what he was able to grow it into. 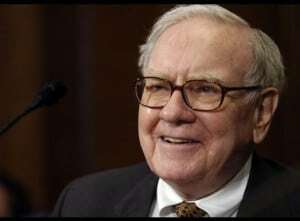 Prior to his partnerships, Buffett held various investment jobs, with his last earning him $12,000 per year. When he stated his partnerships, he had a personal savings of around $174,000. Today, he has turned that initial amount into around $50 billion! Buffett’s investment focus is very simple…buying companies for a low price, improving them via management or other changes, and realizing long term improvements in stock price. He looks for companies he understands and keeps it very simple. Many have criticized him for avoiding tech companies and other industries, but by sticking to what he knows, he has been able to realize amazing returns. Check out his biography, The Snowball: Warren Buffett and the Business of Life. It’s one of my favorite books of all time. Philip Fisher is the father of investing in growth stocks. He started his own investment firm, Fisher & Company, in 1931, and managed it until his retirement in 1999 at the age of 91. Fisher achieved excellent returns for himself and his clients during his 70 year career. Fisher focused on investing for the long term. He famously bought Motorola stock in 1955, and held it until his death in 2004. He created a fifteen point list of characteristics to look for in a common stock and were focused on two categories: management’s characteristics and the characteristics of the business. Important qualities for management included integrity, conservative accounting, accessibility and good long-term outlook, openness to change, excellent financial controls, and good personnel policies. Important business characteristics would include a growth orientation, high profit margins, high return on capital, a commitment to research and development, superior sales organization, leading industry position and proprietary products or services. If you want to follow his lead more closely, his book is called Common Stocks and Uncommon Profits. 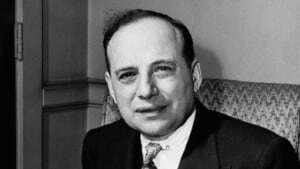 Benjamin Graham is most widely know for being a teacher and mentor to Warren Buffett. It is important to note, however, that he attained this role because of his work “father of value investing”. He made a lot of money for himself and his clients without taking huge risks in the stock market. He was able to do this because he solely used financial analysis to successfully invest in stocks. He was also instrumental in many elements of the Securities Act of 1933, which required public companies to disclose independently audited financial statements. Graham also stressed having a margin of safety in one’s investments – which meant buying well below a conservative valuation of a business. He also wrote one of the most famous investing books of all time, The Intelligent Investor, where he spells out his investment philosophy. 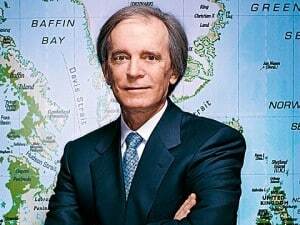 Bill Gross is considered by many the “king of bonds”. He is the founder and leading manager for PIMCO, and he and his team have over $600 billion under management in fixed-income investments. While Bill’s main focus is buying individual bonds, he has an investment style that focuses on the total portfolio. He believes that successful investment in the long-run rests on two foundations: the ability to formulate and articulate a long-term outlook and having the correct structural composition within ones portfolio over time to take advantage of this outlook. He goes on to say that long-term should be about 3-5 years, and by thinking this far out, it prevents investors from getting emotional whiplash of the day-to-day markets. 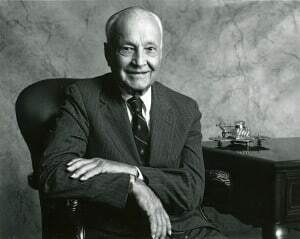 John Templeton is the creator of the modern mutual fund. He came to this idea by his own experience: in 1939, he bought 100 shares of every company trading on the NYSE below $1. He bought 104 companies in total, for a total investment of $10,400. During the next four years, 34 of these companies went bankrupt, but he was able to sell the entire remaining portfolio for $40,000. This gave him the realization of diversification and investing the market as a whole – some companies will fail while others will gain. John Templeton was described as the ultimate bargain hunter. He would also search out companies globally when nobody else was doing so. He believed that the best value stocks were those that were completely neglected. He also managed all of this from the Bahamas, which kept him away from Wall Street. Carl Icahn is known throughout the investing world as either a ruthless corporate raider or a leader in shareholder activism. Your view, I guess, depends on your position within the company he is going after. 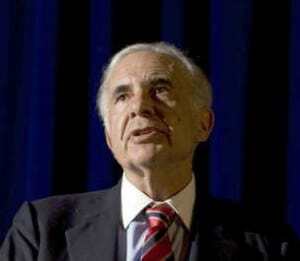 Icahn is a value investor that seeks out companies that he believes are poorly managed. He tries to get on the Board of Directors by acquiring enough shares to vote himself in, and then changes senior management to something he believes is more favorable to deliver solid results. He has had a lot of success with this over the past 30 years. While not true value investing, hr does focus on companies that are undervalued. He just looks for ones that are undervalued due to mismanagement – something he believes is pretty easy to change once you are in charge. 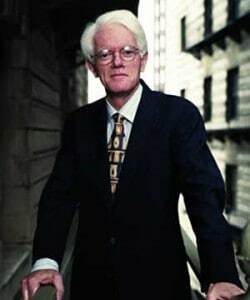 Peter Lynch is best known for managing the Fidelity Magellan Fund for over 13 years, during which time his assets under management grew from $20 million to over $14 billion. More importantly, Lynch beat the S&P500 Index in 11 of those 13 years with an average annual return of 29%. There’s always something to worry about – do you know what it is? George Soros is most commonly known as the man who “broke the Bank of England”. In September 1992, he risked $10 billion on a single trade when he shorted the British Pound. He was right, and in a single day made over $1 billion. It is estimated that the total trade netted almost $2 billion. He is also famous for running his Quantum Fund, which generated an average annual return of more than 30% while he was the lead manager. Soros focuses on identifying broad macro-economic trends into highly leveraged plays in bonds and commodities. 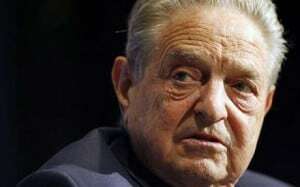 Soros is the odd-man out in the Top 10 Greatest Investors, has he doesn’t have a clearly defined strategy, more of a speculative strategy that came from his gut. This is another investor that few will recognize outside of Wall Street. Steinhardt achieved a track record that still stands out on Wall Street: 24% compound average annual returns – more than double the S&P500 during the same period – over 28 years! 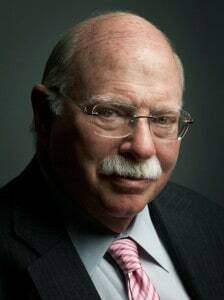 What’s more amazing is that Steinhardt did it with stocks, bonds, long and short options, currencies, and time horizons ranging from 30 minutes to 30 days. He is credited with focusing on the long-term, but investing in the short term as a strategic trader. Make all of your mistakes early in life. The more tough lessons early on, the fewer errors you make later. Don’t make small investments. If you’re going to put money at risk, make sure the reward is high enough to justify the time and effort you put into the investment decision. I hope you enjoyed the list and gained some insight into how the very best of the best made their money! Glad you learned something! I did too putting this together! Great list! I would put John Maynard Keynes in there as well. He was so successful the Bank of England asked him to manage their reserves. I like that you point out that the greatest investors have strategies that aren’t super complicated. He was successful, I have always thought of him more for his economic policies than his investing. I thoroughly enjoyed this list and would agree wholeheartedly with those you have included. I do have a special place in my heart for Jesse Livermore, although I would consider him a speculator and trader rather than an investor. He did very well as a speculator but went bankrupt when he violated his own trading rules. Despite that, he was able to bounce back several times. The most important thing to learn from Livermore is to take small positions and continue to add to positions only after achieving a profit. I am starting to do this more and more and like the technique. Ya Livermore obviously did very well, but he was a crash and burn then rebuild guy…I dont think this list of people falls into that category. Really great list though…I bet most of these guys will tell you they have done anything fancy, just made some good smart decisions along the way. I like this post – it’s good to reflect on those who have achieved great success, and try to pick up some learnings in terms of the ingredients behind their success. I’ve read Graham as well as Lynch in the past. Read an interview of Bogle within the last year, which was brief but shined the light on a very successful, experienced investor – who wasn’t sure what to make of the current market. Never heard of Steinhardt, but I really like those lessons put forth! Great list! They truly are the 10 investors of all time. One can learn so much from studying their methods. If you were to ever do a top 20 list I’d like to add: Stephen Jarislowsky (he wrote “The Investment Zoo” describing his methods). Seems like all of these people started with a heck of a lot of capital to begin with, which in many cases was not derived from investing at first. I think that’s the hard part for many of us: earning the initial capital to invest. I think some of them did, and some of them didn’t. Well constructed list and surprised but glad to see Bogle as the first mentioned. He has done a lot in providing low cost investments to small investors. Change the title! Don’t you think it is coincidental all of the greatest investors in the history of the world were from the 20th Century in the U.S.? Isn’t that a little biased? How about Andrew Mellon? Carlos Slim? Rothschilds? Those are some good investors as well. For the older ones, it’s hard to describe their investment styles. Carlos Slim should be added to the list. I’d probably add Carlos Slim on there right now, but only time will tell! I think having large capital is actually a disadvantage. You’ll be limited to the large ones when it comes to investing. Also Buffett started $100 when he started his partnership back in the 1950’s. He used his trading money, which amounted to $10,000 probably big at that time, to cover his living expenses. But he basically started small and earned fees from investment gains. Yes, once you make it big, so many people are watching your every move it makes it hard to get good deals. Its not when they buy do they make their money, it is when they sell. Piggy back investors lose because they miss the concept. The “ones that made it big” will continue because it doesnt matter who watches. All of them are great investors. And i agree livermore was boom or bust.. But his bust were because he did not followi his own rules. I guess you were doing modern day? John Law, Bernard Baruch, David Ricardo. I disagree with keynes, he was a great creator, but a poor investor. He made money and a fascinating contribution to the world, but did not invest like all on your list and the ones i added. What about Rothschild? Who made a million off of waterloo.. Which Ricardo did as well. Just some other names. Always cool to see others out there! Warren Buffet wins hands down, his $10’000 investment has turned into a $2billion does it get much better than that! I’ve been studying many of these folks for some time and have to say that Warren Buffett and Benjamin Graham were the first investors whose strategy really spoke to me. Before learning about value investing, I was all over the place, gambling in many ways, but “The Intelligent Investor” put quick end to that behavior.